Today Toronto's real estate agents are drinking champagne. 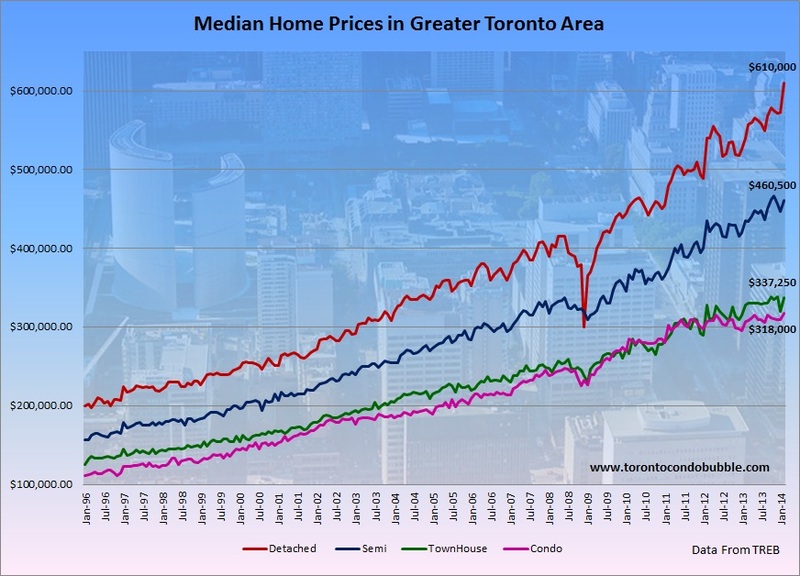 For the first time ever, the median price of detached homes in the GTA passed the $600,000 mark. But there are people who are staying sober on this Wednesday night. Those are the 20-somethings who are moving back into their parents' basement as they can't afford to live on their own. What is especially worrying is the fact that the number of people aged 20-to-29 who are living with their parents hit 42.3% in the 2011 census, up from 27% in 1981. The verdict? It's not only the real estate stats that are going up. Speaking of which, the median detached home price rose by 13% in February of 2014 (versus a year earlier). Condos gained 3.6%, semis 5.9%, and townhouses went up in value by 2.9%. Also note that there was no uptick in sales as stated by Toronto real estate agents. TREB reported that home sales increased by 2.2% compared to a year earlier but their number is faulty. 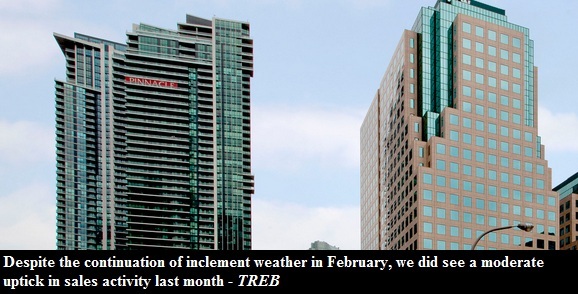 There is a systematic error in the way that TREB calculates sales growth. The real estate cartel compares unadjusted sales to adjusted transactions from a year ago which results in an upward bias of about 2% to 4%. You can learn more on that here. If you compare unadjusted numbers to unadjusted stats reported a year ago then home sales in Toronto actually declined by 0.5% from a year ago. Compared to February 2012 Toronto home sales were down 19%. And, just a reminder, the weather talk is all bulsh*t.